In this terrifying prequel novel to the New York Times bestselling Asylum series, a teen is wrongfully committed to the Brookline psychiatric hospital and must find a way out—before he becomes the next victim of the evil warden’s experiments. 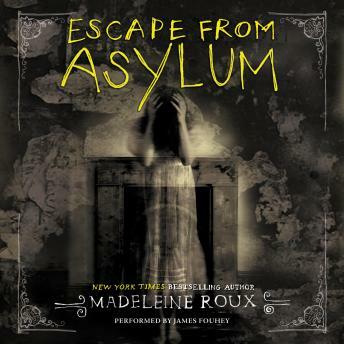 With the page-turning suspense and unsettling found photographs from real asylums that led Publishers Weekly to call Asylum “a strong YA debut,” Escape from Asylum is perfect for fans of Miss Peregrine's Home for Peculiar Children. Ricky Desmond has been through this all before. If he could just get through to his mother, he could convince her that he doesn’t belong at Brookline. From the man who thinks he can fly to the woman who killed her husband, the other patients are nothing like him; all he did was lose his temper just a little bit, just the once. But when Ricky is selected by the sinister Warden Crawford for a very special program—a program that the warden claims will not cure him but perfect him—Ricky realizes that he may not be able to wait for his mom a second longer. With the help of a sympathetic nurse and a fellow patient, Ricky needs to escape now. Set long before Dan, Abby, and Jordan ever walked the hallways of the Brookline asylum—back when it was still a functioning psych ward and not a dorm—Escape from Asylum is a mind-bending and scary installment in the Asylum series that can stand on its own for new readers or provide missing puzzle pieces for series fans.